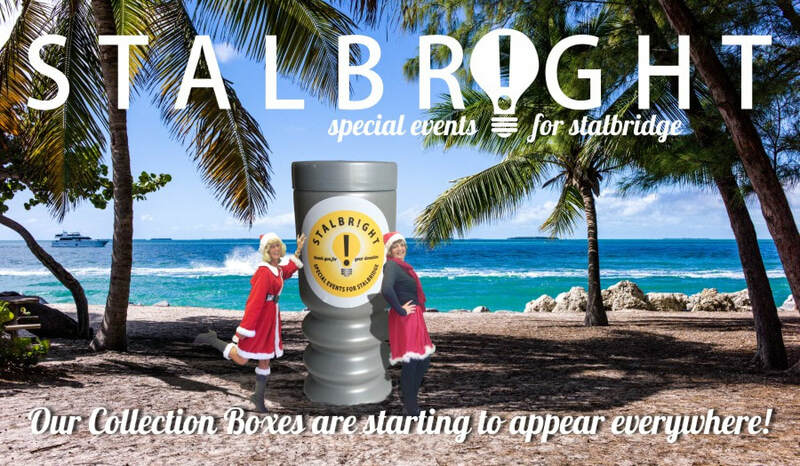 "Our mission is to promote pride and community spirit amongst the residents of Stalbridge, by organising, promoting and supporting special events." Armastitch – Community project to craft poppies to commemorate the 100th anniversary of the 1st World war. Poppy making cafes at the Hub from the 23rd April every Monday morning 9.30-11.30 am. ​Spot the Oddity Competition involves looking in the shop windows in Stalbridge. In each window is a numbered card. An ODD OBJECT (one which you would not normally expect to see in this window) has been carefully placed. All you have to do is to write down on the competition form what the odd object is. Competition forms will be available to pick up from the Community Information Office in Hub@Stalbridge, Station Road from Saturday 2nd December, when the Hub will be open from 9.30am to 12 noon. You can also fill in the competition form online if you want to use your smartphone to do the competition . The online form will be available to fill in on Saturday 2nd December by clicking on the card opposite. ​So please pop in to the Hub@Stalbridge, just off Station Road and support our local good causes. ​Stalbridge Congregational Hall are hosting their annual Christmas Tree Festival on Saturday 2nd December from 10.00am to 12.00 noon in the Congregational Hall, Station Road, Stalbridge. Christmas Trees Decorated by Local Groups will be on display and there will be stalls, activities and crafts. MULLED WINE & MINCE PIES WILL BE SERVED! ​Come and have Tea with Santa at Stalbridge Hall on Saturday 2nd December. This Family Tea Party is from 3.00pm - 5.30pm. Santa Claus will be arriving at 2.45pm. Tickets costing £1 are available from Williams Florist in Station Road. There will be a Bar and some great entertainment from Stalbridge 'Home-Grown' talented artistes! Nativity Fancy Dress! £10 prize for best dressed Adult and Best dressed child. Please note that due to limited numbers tickets must be purchased in advance. ​For 10 years now, Elaine Korman has been presenting a Christmas concert of talented musical artists at the Congregational Church in Stalbridge. This 10th Anniversary concert promises to be a wonderful night of music and entertainment, with special guests Russian Soprano Maria Danishvar, Mezzo Soprano Arabella Heaton, Brenda Clerci, John Turner and many talented young musicians. The concert runs from 2.00pm on Sunday 3rd December. No tickets are required. All donations will go to the Ben Tickner Treatment Fund. 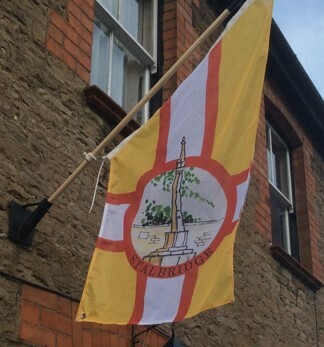 Stalbright have commissioned a Stalbridge flag based on a Watercolour design by local Stalbridge artist Tony Wood. As part of our ongoing Spotlight On Commerce objectives we would like to let local business know about the Northern Dorset Local Action Group . They work across North Dorset awarding grants from the Rural Development Programme at a local level. One of 80 Local Action Groups (LAGs) in England, they are delegated to allocate project funding to rural businesses and community groups to help them create jobs, help businesses to grow or benefit the wider rural economy. Click on their icon to view their web page. On-going funding available watch this space for the next round. As a newly formed group of volunteers, dedicated to promoting community spirit and co-operation amongst the towns residents, organisations and businesses we hosted a Stalbright Spotlight on Commerce event. this was on Wednesday 12th October 2016 at the Hub between 7 & 8.30pm . This evening was an opportunity for members of the business community to socialise in a relaxed atmosphere and maybe swap thoughts and ideas on the future of business and commerce in Stalbridge. We delivered over 100 invitations to local businesses.